No matter how few possessions you own or how little money you have, loving wildlife and nature will make you rich beyond measure.” These lines of Paul Oxton are relevant for most of the city dwellers, aren’t they? When did we last wait to hear the birds’ chirp or heard the whoosh of the wind or took a dip in to the river or plucked a fruit from the tree or saw a broken star in the night sky? These questions lingered on to my mind when I went to a beautiful camp situated near a lake. The area is surrounded by forests and inhabited by many birds and animals, and the prominent ones were the wild boars. While we were trying to take a close look at their activities, we saw they were binging on ‘ber’ (jujube berry fruit), along with its stony seeds. My friend asked me if I could hear the crunch. I said no. He said try to focus… I was trying until the jeep way ahead of us restarted the engine, and I said I could hear this… bursting into laughter! I realized what city life does to us. I took a while to hear the sound of the boar crushing those stony seeds compared to my friend, an avid naturalist. I realized I needed much more focus! This triggered my sensitivity to the jungles’ phenomenal orchestra. The sounds are so mesmerizing especially at night. The insects and timings of their symphony can activate our senses… listen to the sounds, feel the air, glare at the stars and blur your eyes with tears, feel the vastness of this existence that effortlessly makes you count your breath and stirs the soul. 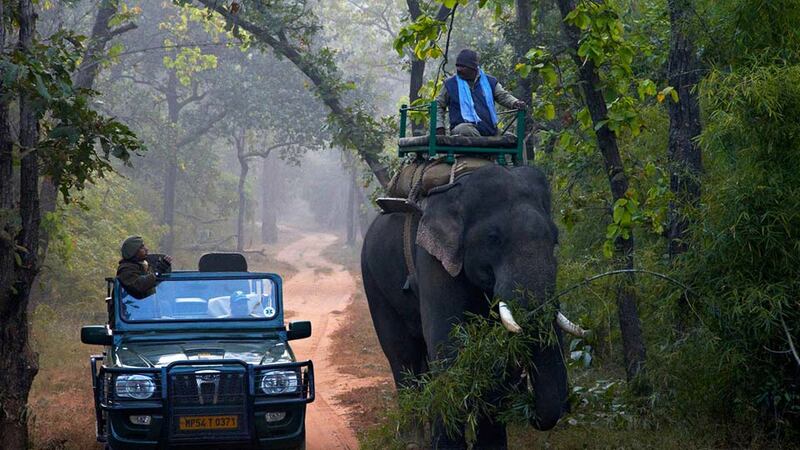 Don’t wait… just pack and explorethe indian jungles, they are worth your time. Indian yogic traditions define the transition from “Sthula to Sukshma to Shoonya”. Which means from absolute physicality experienced with the five senses, to a state beyond logic and intellect till Shoonya or vast emptiness – this can be experienced only if one remains in sync with the existence. Sharpen your senses, feel your breath, enjoy farm to table delicacies, rekindle the romance with yourself. Feel the earth her creatures, their activities, their colors, the tribes and their lifestyle, their art, their language. Listing a few popular ones from the many that possess a striking terrain and fantastic fauna. And can be integrated in to the popular tourist routes. 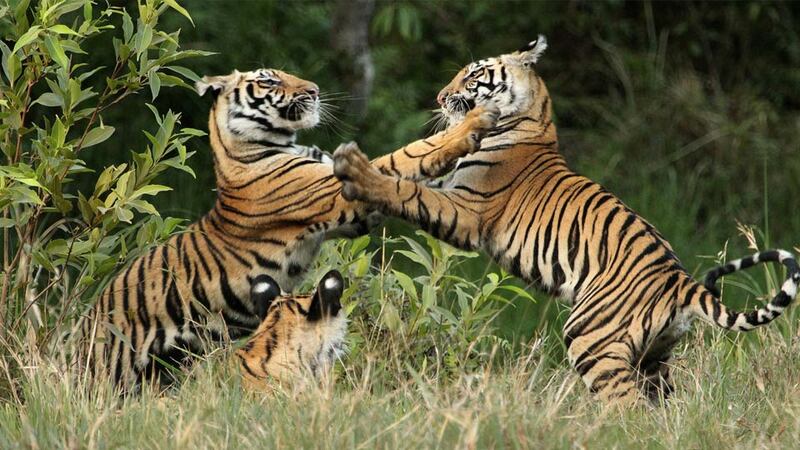 These places accredited as National Parks has the most famous Indian predator – Tiger. The game is best from March until mid June, when the sun is robust. It is more or less a myth but at some parks, the chances are definitely better during this time. In India, viewing the wild is unplanned, it is the game of ‘hide and seek’ and that makes it exciting and thrilling. Seeking for them within their territory involves a curious mystery that will attract you to an inevitable love affair. All the parks are open from October 1 until June 30 and all the places listed have airstrips facilitating private charters. If you are on the Rajasthan tourist route and desire to be in the rugged terrain, Ranthambore ‘Tiger Reserve’ with a critical tiger habitat fulfills your dream. This was a former hunting ground of the maharajas and now a photographer’s paradise offering spectacular views especially from the fort located in the sanctuary. The fauna consists of tigers, leopards, striped hyenas, sambar deer, chital, nilgai, common langurs, jackals, jungle cats, sloth bears (rare), black bucks… The park is most famous for it’s diurnal tigers and a dramatic backdrop. The best time is November until mid June. The closest airport is Jaipur, 3.5 hours away. The Oberoi Group of Hotels define elegance… Oberoi Vanyavilas has twenty-five tents spread across acres of beautiful manicured lawns and lush indigenous flora becomes your heaven after the chases during the day. 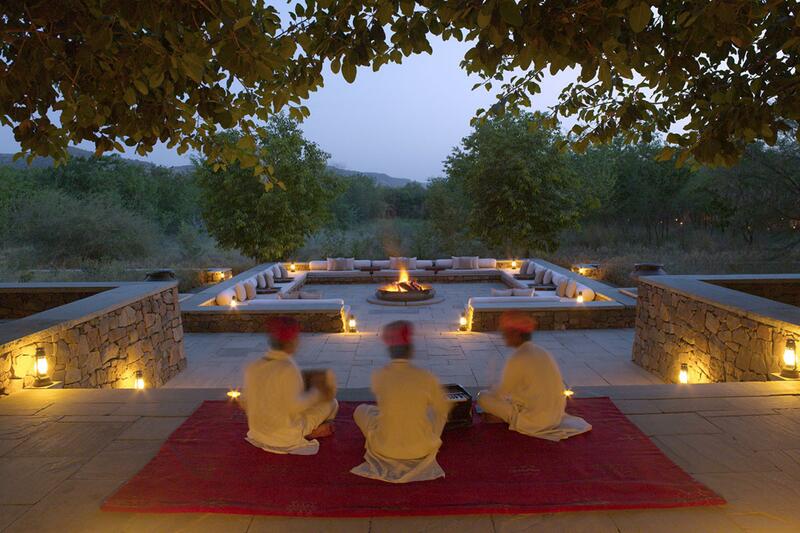 If you are the Aman Group lover, then you could indulge in one of the ten lavish tents of the Aman-i-Khas over looking a stark beautiful landscape with utmost privacy and exotic living. 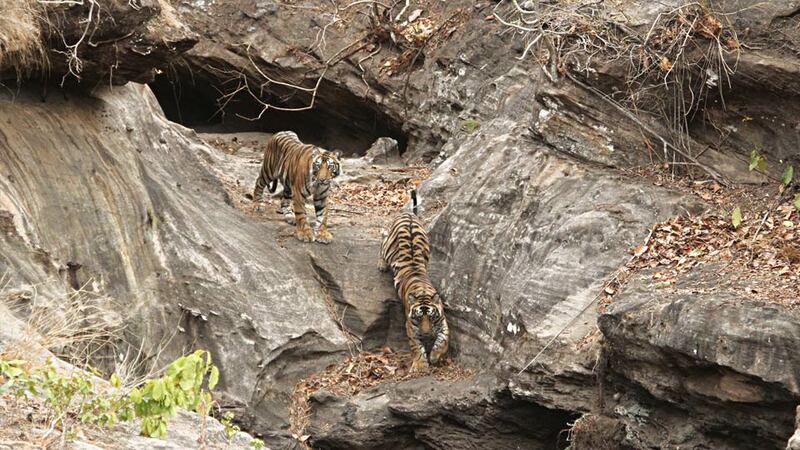 If you are, an absolute wild life chaser then visiting Central India is imperative. The beautiful Madhya Pradesh has a green layered land. The flora, fauna and habitat of tribes and their art of living rapture the anthropologists and nature lovers. 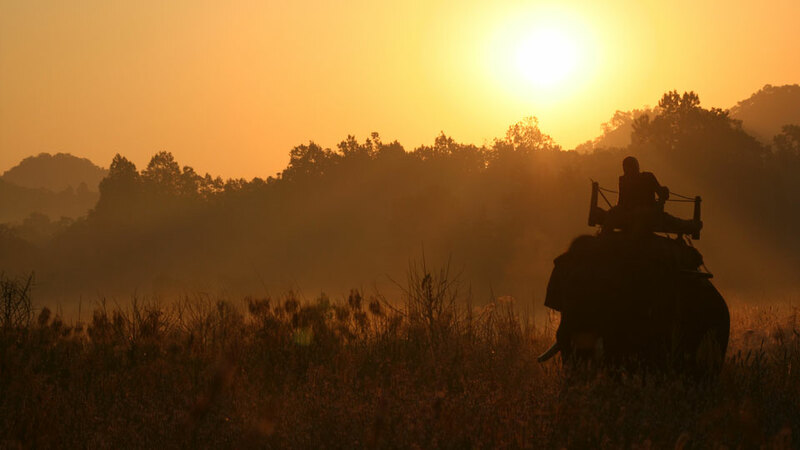 Starting with Pench, as this is closest to Nagpur, which has daily morning and afternoon flights from Delhi and Mumbai followed by visiting Kanha, Bandhavgarh and Panna. Thereafter you may continue to Khajuraho onward to Delhi or the other way around. Pench served as a backdrop for Rudyard Kipling’s ‘The Jungle Book’! 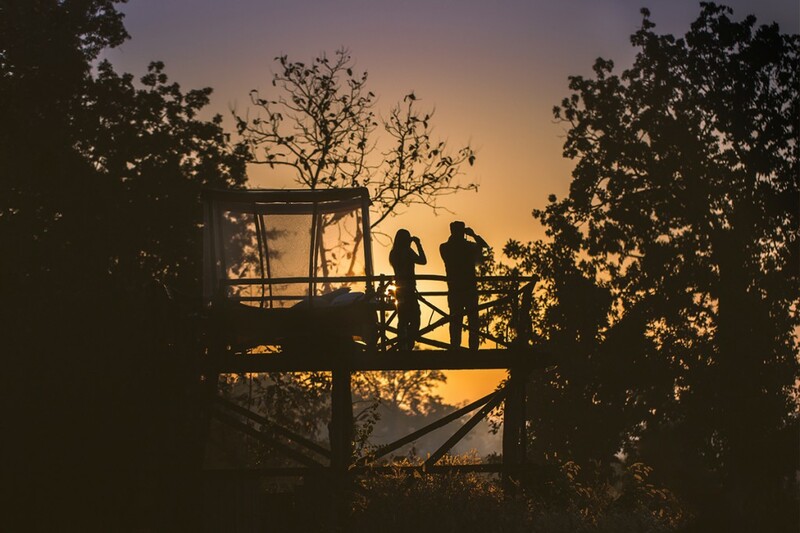 Awarded in the recent times as the ‘Best Managed National Park’, Pench was well-regarded internationally after the release of a three part documentary by the BBC called ‘Tiger: Spy in the Jungle’ narrated by Sir David Attenborough. The jungle is a mosaic of picturesque wooded hills vast grasslands and river being its spine dividing the land. The fauna is of large number of herbivores populated with spotted deer and other antelopes like chausingha (four horned antelope) and the elusive barking deer or muntjac. Amongst others are the spotted deer, blue bull or neelgai, sambar and large herds of gaur. There are good sightings of leopards and tigers, along with the ‘whistling hunters’ or wild dogs. 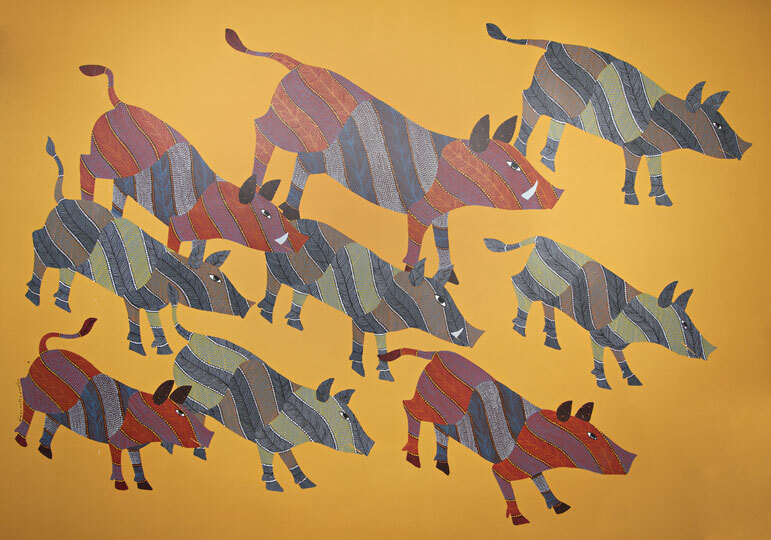 The best time to visit Pench is from November till April. 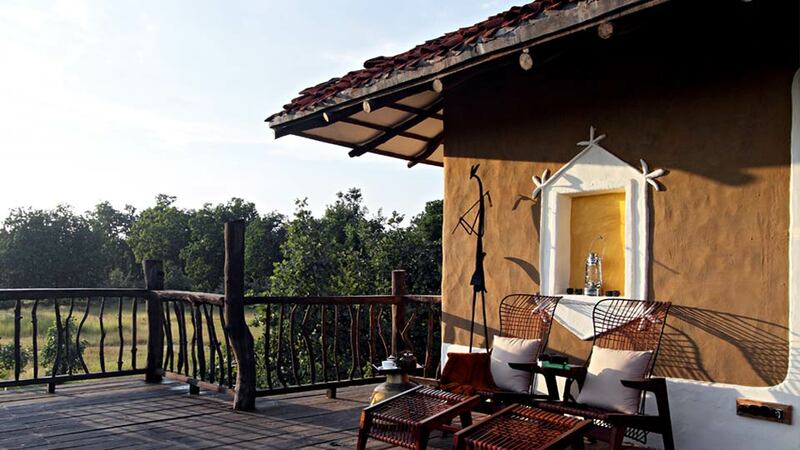 Built for sheer love for the jungle, Jamtara Wilderness Retreat is situated amidst the tall Arjuna trees in the village of Jamtara is must for an exclusive jungle experience, inspired by the surroundings and no compromise with the comfort. For the seekers and adventurous there is a star bed where you may romance the night sky! Kanha constitutes the classic landscape of the Central Indian highlands with gently sloping hills, misty dense forests and river valleys. One of the largest in the country with prime tiger habitat and they also have a conservation success story for Barasingha or the hard ground swamp deer and home to the Gond and Baiga tribes. The Barasingha is Kanha’s iconic animal and also the park’s mascot. This charismatic deer gets its name from the multiple tines on its antlers, usually twelve or ‘Barah’ in Hindi. The parks rich biodiversity are the predators – Tiger, Leopard, Jungle Cat, Indian Fox, Wild Dogs and Jackals. The one and only exotic luxury indulgence is Taj Safari’s BanjarTola, the nineteen alluring tents extending across ninety acres and overlooking the core zone of Kanha National Park and stunning views of the Banjaar river. Apart from gaming activities, visit the tribal villages. Star gaze at this pristine location hear stories from the naturalists about their romance with the night sky. Nestled among the picturesque Vindhya Hills and lush tropical forests, Bandhavgarh is one of the most beautiful parks and a tiger lover’s ecstasy. 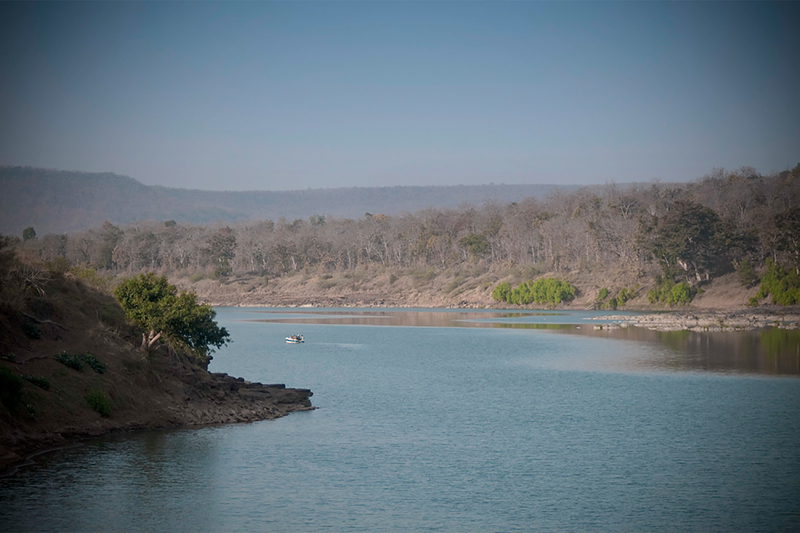 Smaller compared to Kanha, this dramatic landscape is home to a dense Sal forest brimming with exotic flora and fauna. The highest attraction is of the tiger followed by the other popular animals, the sloth bear, leopards and chinkara, their prey animal. 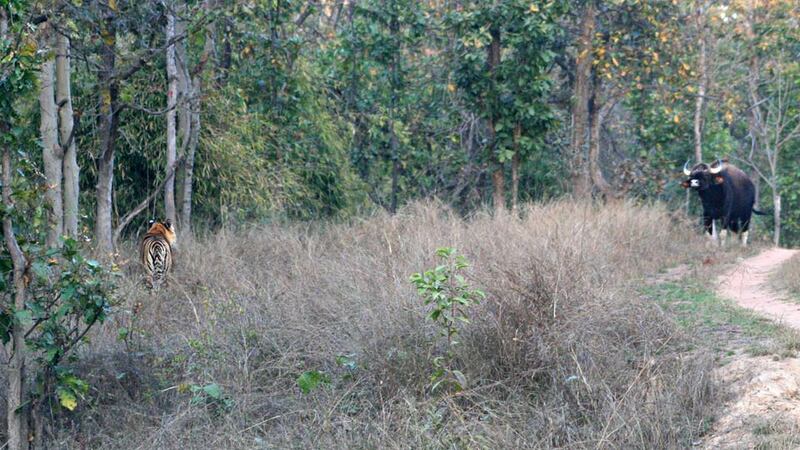 This too like Kanha offers sightings all year around from October until June. 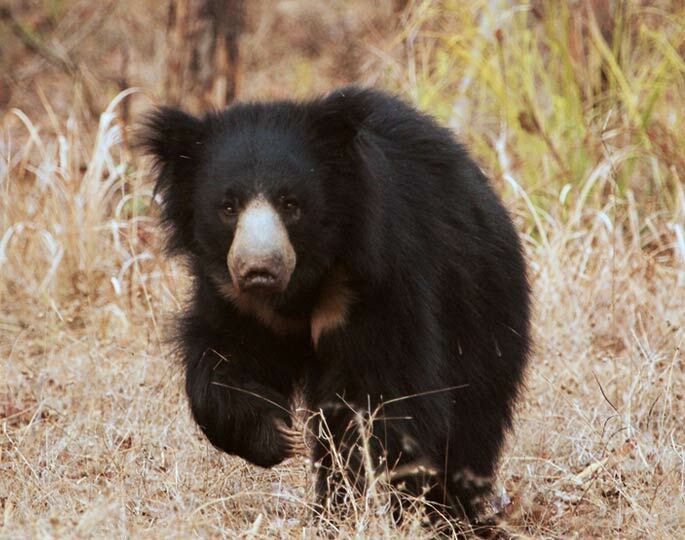 Sloth Bear sightings are good from March till May, as they come out to eat a flower called ‘Mahua’, from which liquor is made by the locals. Good bird sighting is from November till March. 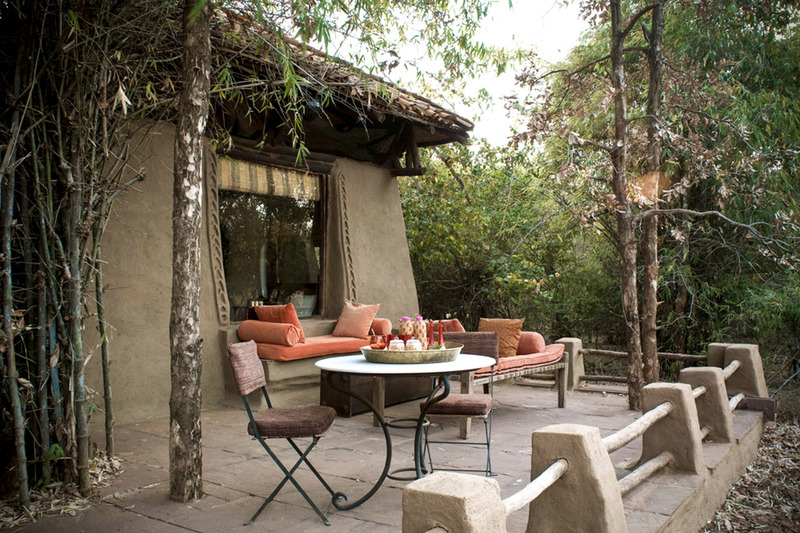 Samode Safari Lodge, a labor of love! The Lodge adorned with colorful vernacular architecture of the region with unmatched luxury and hospitality has twelve elegant private villas strung around the main building with many interesting activities and conveniences. 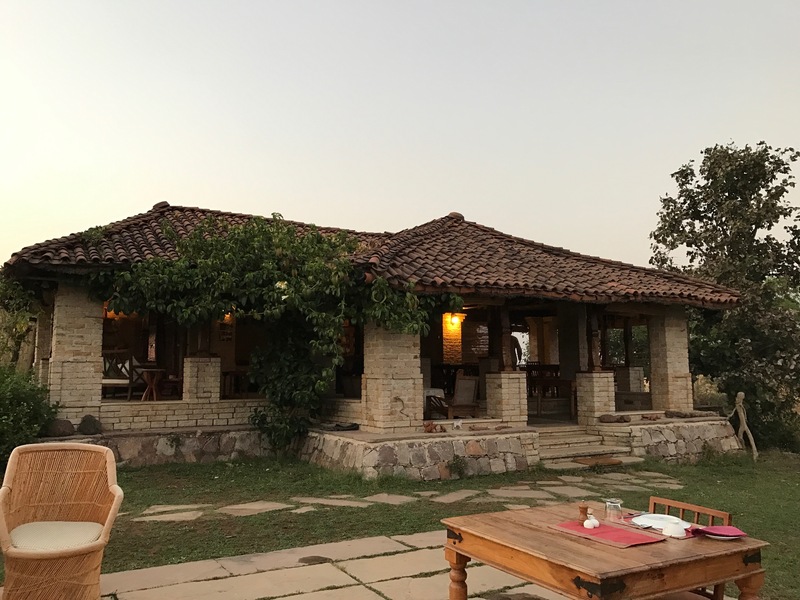 Taj Safari’s MahuaKothi… another luxury indulgence sprawled across forty acres of lush forestland offering twelve charming suites built in the vernacular style architecture of the region. With an array of activities and amenities… do try the ‘Mahua Martini’, liquor of the tribes. Situated in the Vindhya Hills along the pristine Ken River, Panna National Park is protected wildlife area and close to Khajuraho – a famous World Heritage Site. Its topography is the most dramatic with plateaus, hills, gorges, waterfalls and the river running through the forest. The jungle consists of mixed dry deciduous with short grasses and open woods in the plateau regions. Panna is a glowing testimonial to a successful effort in tiger conservation. Along with the wonderful tiger spotting, Panna has a lot of antelopes. The Indian gazelle or Chinkara are readily seen along with Blue bulls and glimpses of the four horned antelope. Interesting specimens of Sambar – Asia’s largest deer can be seen here along with wild pigs, jungle cats, sloth bear, striped hyenas and jackals and wild dogs are some other mammals. One of the most interesting activity in Panna is a short boat ride on the river Ken to look for the Mugger or marsh crocodiles. 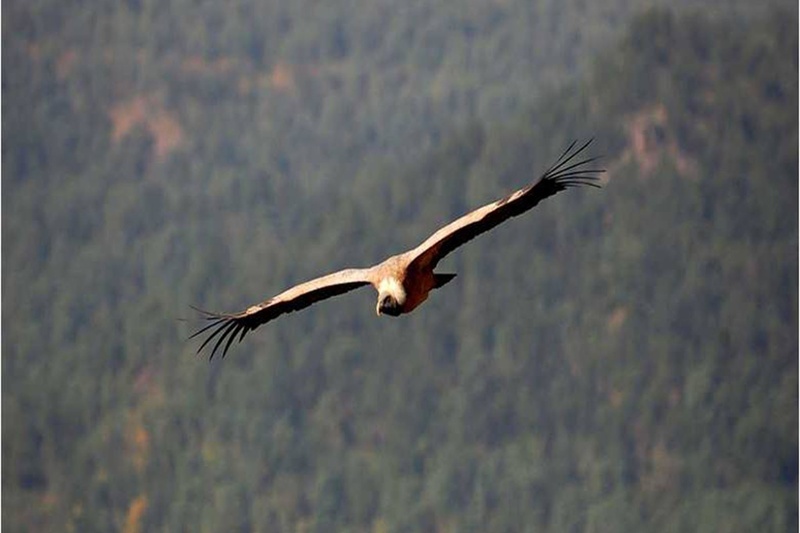 Several highly endangered species of vultures, like the Indian vultures as well as the Egyptian vultures are seen regularly. The combination of scrubland, rocky areas and the river system allow Panna to have a varied bird life, nearly 300 species of birds; both residents as well as summer and winter visitors. Taj Safari’s PashanGarh or the stone fortress owns twelve cottages huddled atop a small hill, with a sweeping view of dense foliage. Set in 200 acres of private wilderness; this luxury jungle lodge offers a perfect perch for bird watching by the day and stargazing after sundown from its look out tower. Sarai at Toria,is located between Panna and Khajuraho, perhaps one of our favorites.Sarai has eight uniquely designed cottages, situated on a beautiful riverside, with surrounding area full of wonderful history and natural beauty. Owned and managed by our friends Dr. Raghu, a conservation biologist and his wife Joanna, a wildlife photographer and conservationist. They have carved their niche with special excursions guided by the enthusiastic naturalists and unforgettable home recipes with ingredients from farm to table. Feel free to write to us for any further questions or should you wish to travel to any of these places now or whenever in the future. We are delighted to help you.